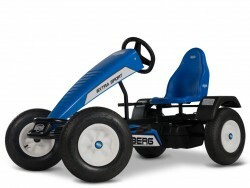 Recommended for aged 5 upwards This BERG Extra BFR go kart is a classic and based on more than 25 year of manufacturing experience. 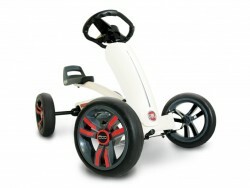 The wheels run fast and smoothly thanks to the roll-bearings. Steering can be done with just one finger due to the double ball bearing equipped steering mechanism. 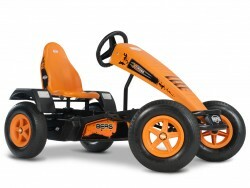 Recommended for aged 5 upwards This fantastic BERG Extra Sport BFR go kart is both a classic and a favourite based on more than 25 year of manufacturing experience. The wheels run fast and smoothly thanks to the roll-bearings. 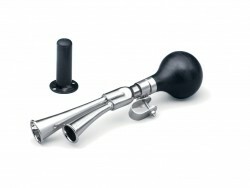 Steering can be done with just one finger due to the double ball bearing equipped steering mechanism. 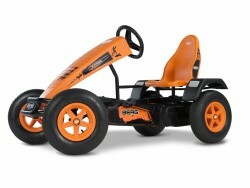 Recommended for aged 5 upwards This very cool and stylish BERG X-plore BFR go kart has been designed for those that like a bit of off roading amongst you using more than 25 year of manufacturing experience. 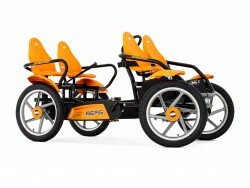 The BERG X-plore BFR is especially designed for those children who love outdoor adventures under extreme circumstances. 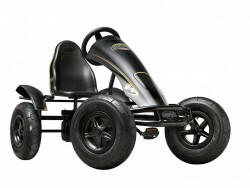 Recommended for aged 5 upwards This stunning and very cool looking BERG Black Edition BFR go kart is a strong, impressive and robust go kart that has been designed using more than 25 year of manufacturing experience. 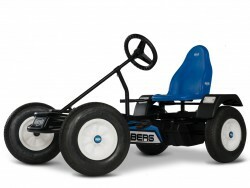 Recommended for aged 5 upwards This BERG Basic BFR go kart is a classic and based on more than 25 year of manufacturing experience. The wheels run fast and smoothly thanks to the roll-bearings. 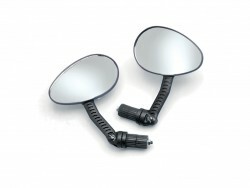 Steering can be done with just one finger due to the double ball bearing equipped steering mechanism. 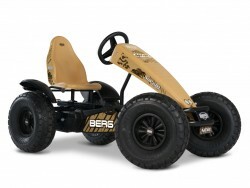 Recommended for aged 5 upwards This great off road and camouflaged coloured BERG Safari BFR go kart is a strong, impressive and robust go kart that has been designed using more than 25 year of manufacturing experience. Recommended for aged 5 upwards With its sturdy looks, this great BERG X-Cross BFR go kart is a strong, impressive and robust go kart that has been designed for many adventures using more than 25 year of manufacturing experience. 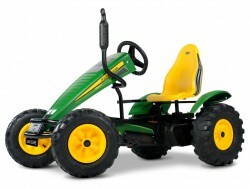 Recommended for aged 5 upwards This officially licensed BERG John Deere Trac BFR go kart is not only striking and stunning but very cool to look at. As part of the trac range of go karts it is a strong, impressive and robust go kart that has been designed using more than 25 year of manufacturing experience. 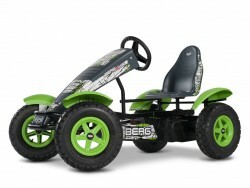 Recommended for aged 5 upwards This officially licensed BERG Claas Trac BFR go kart is not only striking and stunning but very cool to look at. 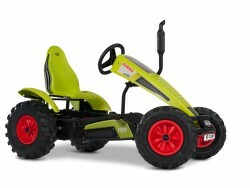 As part of the trac range of go karts it is a strong, impressive and robust go kart that has been designed based on the real Claas tractors using more than 25 year of manufacturing experience. 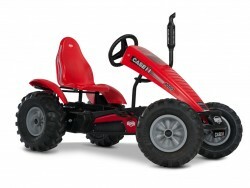 Recommended for aged 5 upwards This officially licensed BERG Case IH Trac BFR go kart is not only striking and stunning but very cool to look at. 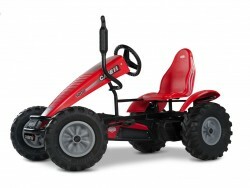 As part of the trac range of go karts it is a strong, impressive and robust go kart that has been designed based on the real Case IH tractors using more than 25 year of manufacturing experience. 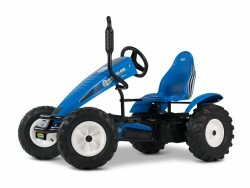 Recommended for aged 5 upwards This officially licensed BERG New Holland Trac BFR go kart is not only striking and stunning but very cool to look at. 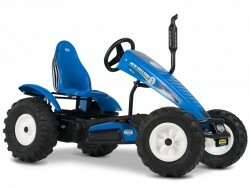 As part of the trac range of go karts it is a strong, impressive and robust go kart that has been designed based on the real New Holland tractors using more than 25 year of manufacturing experience. 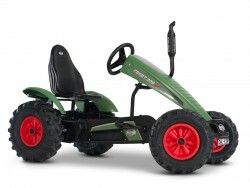 Recommended for aged 5 upwards This officially licensed BERG Fendt Trac BFR go kart is not only striking and stunning but very cool to look at. As part of the trac range of go karts it is a strong, impressive and robust go kart that has been designed based on the real Fendt tractors using more than 25 year of manufacturing experience. 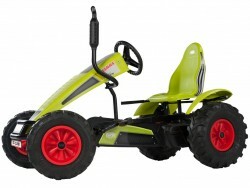 Recommended for aged 5 upwards This officially licensed BERG Deutz Fahr Trac BFR go kart is not only striking and stunning but very cool to look at. 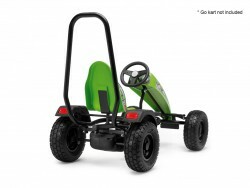 As part of the trac range of go karts it is a strong, impressive and robust go kart that has been designed based on the real Deutz Fahr tractors using more than 25 year of manufacturing experience. 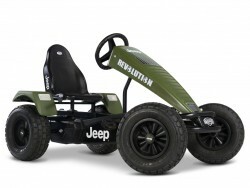 Recommended for aged 5 upwards This officially licensed BERG JEEP Revolution Trac BFR go kart has been designed and based on the JEEP brand. It is a strong, impressive and robust go kart that has been designed using more than 25 years of manufacturing experience. 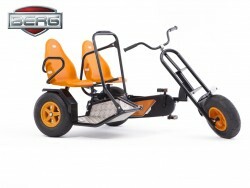 Recommended for aged 5 upwards This stunning and very cool looking BERG Duo Chopper BF go-kart is a strong, impressive and robust go-kart that has been designed using more than 25 year of manufacturing experience and can be used in both the residential and commercial environment. 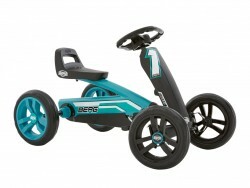 Recommended for aged 5 upwards Same as the BFR version - but with the addition of 3 gears This fantastic BERG Extra Sport BFR-3 go kart is the same as the BFR version go kart but with the addition of 3 gears making it easier to use and help gain a higher speed when pedalling. 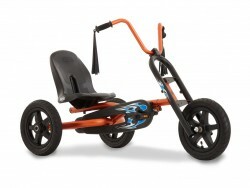 Recommended for aged 5 upwards Same as the BFR version - but with the addition of 3 gears This very cool and stylish BERG X-plore BFR-3 go kart is the same as the BFR version go kart but with the addition of 3 gears making it easier to use and help gain a higher speed when pedalling. 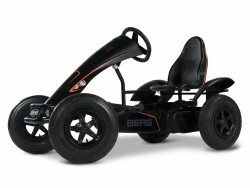 Recommended for aged 5 upwards Same as the BFR version - but with the addition of 3 gears This stunning and very cool looking BERG Black Edition BFR-3 is the same as the BFR version go kart but with the addition of 3 gears making it easier to use and help gain a higher speed when pedalling. 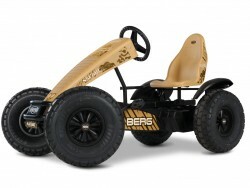 Recommended for aged 5 upwards Same as the BFR version - but with the addition of 3 gears This great off road and camouflaged coloured BERG Safari BFR-3 go kart is the same as the BERG Safari BFR go kart but with the addition of 3 gears making it easier to use and help gain a higher speed when pedalling. 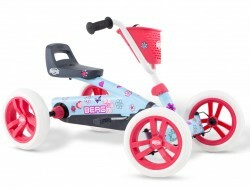 Recommended for aged 5 upwards Same as the BFR version - but with the addition of 3 gears With its sturdy looks, this great BERG X-Cross BFR-3 go kart is the same as the BERG X-Cross BFR go kart but with the addition of 3 gears making it easier to use and help gain a higher speed when pedalling. Basic/Extra passenger seat in blue. The bar under the seat prevents the pedal go-kart from tipping when too much weight is put on it. Cannot be used in combination with a rollbar. See compatible models under the More info tab below. Passenger seat developed especially for the Berg JEEP go kart models. Cannot be used in combination with a rollbar. 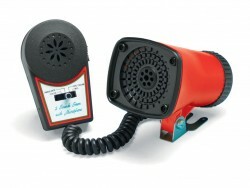 See compatible models under the More info tab below. Want to carry a passenger on your Traxx? Use this matching deluxe passenger seat. 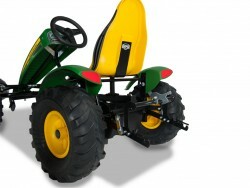 Passenger seat developed especially for the Berg John Deere go kart models. Cannot be used in combination with a rollbar. See compatible models under the More info tab below. This passenger seat is designed fully for the Berg Claas models. Cannot be used in combination with a rollbar. See compatible models under the More info tab below. 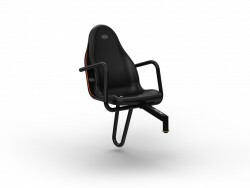 This passenger seat is designed fully for the Berg Case IH models. Cannot be used in combination with a rollbar. See compatible models under the More info tab below. This passenger seat is designed fully for the Berg New Holland models. Cannot be used in combination with a rollbar. See compatible models under the More info tab below. 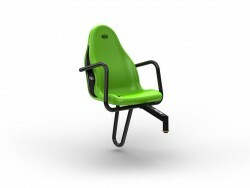 This passenger seat is designed fully for the Berg Fendt models. Cannot be used in combination with a rollbar. See compatible models under the More info tab below. This passenger seat is designed fully for the Berg Deutz Fahr models. Cannot be used in combination with a rollbar. See compatible models under the More info tab below. 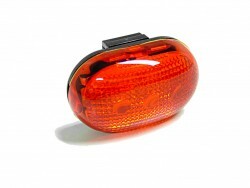 X-Cross passenger seat in orange. 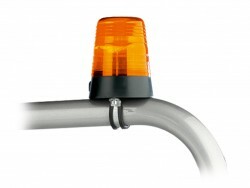 Completely in the style of your BERG X-Cross! Who’s going along on this journey of discovery? Cannot be used in combination with a rollbar. See compatible models under the More info tab below. This passenger seat is designed fully for the Berg X-Plore models. Cannot be used in combination with a rollbar. See compatible models under the More info tab below. This passenger seat is designed fully for the Berg Black Edition models. In you get and you’re off! 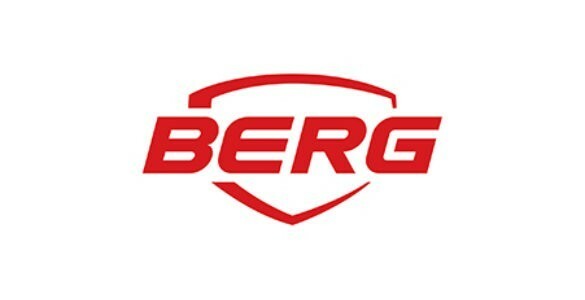 Who will you give a ride today with your Berg pedal go-kart? Cannot be used in combination with a rollbar. See compatible models under the More info tab below. Luxury passenger seat with armrests, suitable for the Berg Safari pedal go karts. In you get and you’re off! 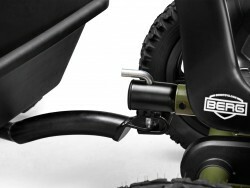 Who will you give a ride today with your Berg pedal go kart? Cannot be used in combination with a rollbar. See compatible models under the More info tab below. 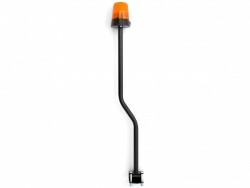 With the BERG Rear Lifting Unit attached to your go kart, you can then easily attach the lift bucket, pallet fork or bulldozer blade accessories to your go kart. 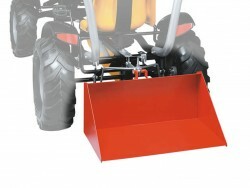 With the BERG Front Lifting Unit attached to your go kart, you can then easily attach the lift bucket, pallet fork or bulldozer blade accessories to your go kart. 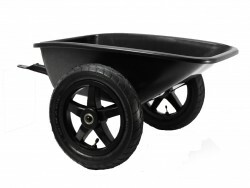 This product requires the BERG Front Lifting Unit or Rear Lifting Unit. 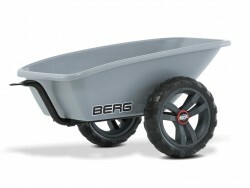 With the BERG Lifting Bucket accessory attached, this will give your children many hours of fun moving things around from one place to another. 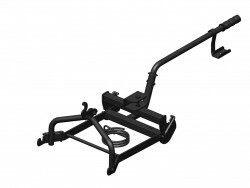 This product requires the BERG Front Lifting Unit or Rear Lifting Unit. 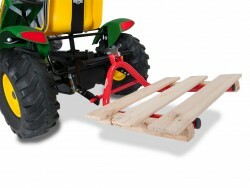 With the BERG Pallet Lifting Unit accessory attached this will give your children many hours of fun moving things around from one place to another. 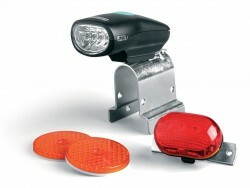 This product requires the BERG Front Lifting Unit or Rear Lifting Unit. 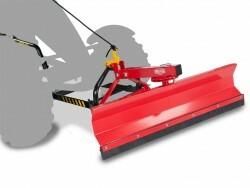 With the BERG Bulldozer Blade accessory attached this will give your children many hours of fun moving things around from one place to another. 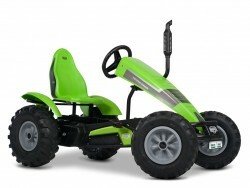 Well your child has their BERG Buzzy go-kart and what would be better to help finish it off than the BERG Buzzy Trailer. 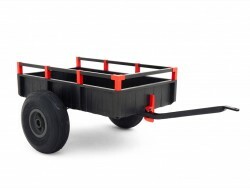 By adding this trailer to the go-kart, means that your children can now transport their bits around with them making a complete go-kart. 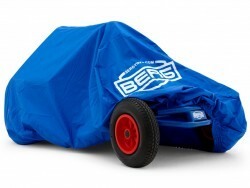 This BERG Buzzy Trailer is suitable for all Buzzy go-karts. 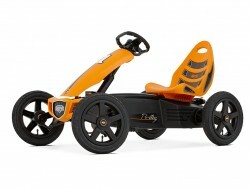 Recommended for children aged 3 - 8 Looking for a specially cool go kart? Then look no further as you now have the choice of the BERG Choppy which will give your child many hours of fun and happiness. 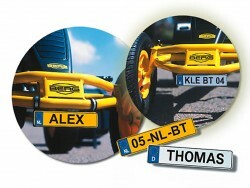 Please note: delivered without towbar Buy Junior Trailer Tow Bar This Junior Trailer is suitable for use with all the BERG Buddy go karts (with the exception of the Ferrari 150 Italia), the BERG Rally Orange, the Jeep Junior and Jeep Adventure. Recommended for children aged 3 - 8 The BERG Buddy John Deere is a unique pedal go kart that has been inspired and designed with the original John Deere machines in mind. 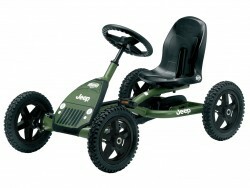 Recommended for children aged 3 - 8 Now there's a real Jeep go kart for all the children and youngest adventurers. 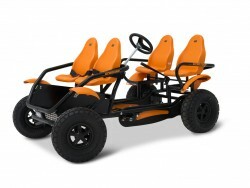 This all terrain and off road go kart can tackle any surface. 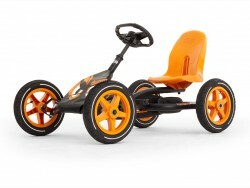 It comes complete with an adjustable seat and an adjustable steering wheel, this go kart is suitable for children between the ages of 3 - 8 years old. 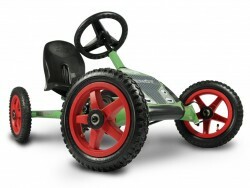 Recommended for children aged 3 - 8 Fast and super smooth, this specially designed Fendt go kart has a study adjustable steering wheel along with pneumatic off road tyres that makes it just ideal for the youngest go karters. 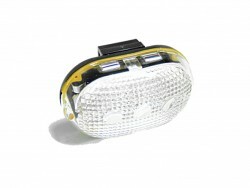 Recommended for children aged 3 - 8 Fast, Super cool and an amazing design - The absolute must-have for every racing fan. Race through the streets with your own genuine BMW Street Racer. 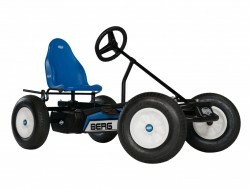 This cool go-kart is the perfect balance between the race DNA of BMW and the technology of BERG. 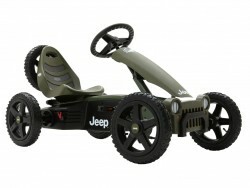 Recommended for children aged 4 - 12 Now there's a real Jeep go kart for all the children and youngest adventurers. 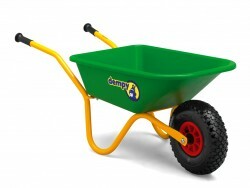 Recommended for children aged 2 to 7 years This BERG Dempy wheelbarrow is one of the best in its class being both study and very strong, this wheelbarrow is very compact and lightweight. Recommended for children aged 3 - 8 This fantastic and great value for money children's Berg Buddy PRO go-kart is already one of our most popular and widely used go-karts in both visitor attractions and holiday resorts. 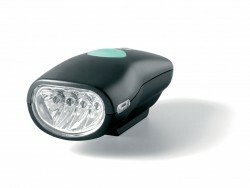 The NEW "Automatic Freewheel" enables from forward to reverse without change. Suitable for 2x Adults and 2x Children. This version of the BERG Gran Tour Off Road is a 4 person (2x adults and 2x children) family bike for use on level or rough ground surface. Perhaps somewhere like a beach boulevard, holiday parks, campsites, vineyards and big estates etc. Suitable for 2x Adults and 2x Children. This version of the BERG Gran Tour Racer is a 4 person (2x adults and 2x children) family bicycle for use on perhaps a beach boulevard, holiday parks, vineyards and big estates etc.